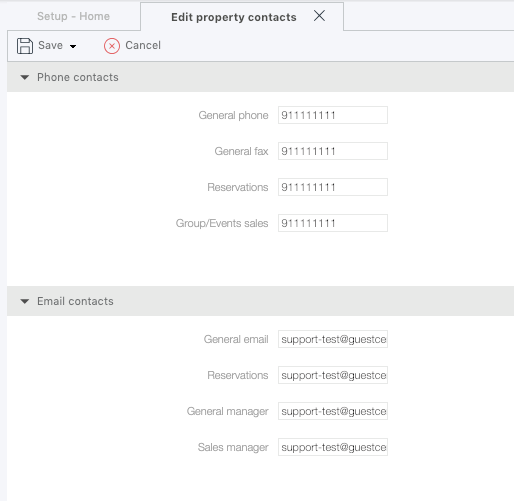 How can I setup / change my contact details? HOME > SETUP AREA > How can I setup / change my contacts details? The email account associated on the RESERVATIONS field, will be the one receiving all the reservations notifications. This area is for the main contacts and e-mails on your account. If you wish to configure more e-mail accounts to receive different types of notifications, please check the instructions here. If you also want a certain e-mail account to receive one or several specific e-mail templates, please check those instructions here.